Currently (2016) coming to the end of an extensive renovation. 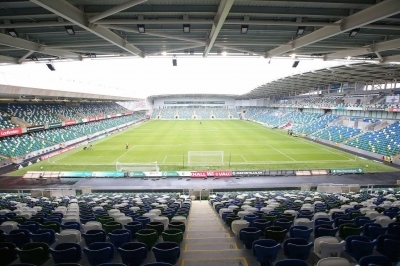 3 stands have been demolished and rebuilt from scratch.Northern Ireland international football team and Linfield Football Club both play their home games here. Map showing the location of Windsor Park in Northern Ireland. You have the ability to request en edit to any of the details of Windsor Park. You can do this by clicking on one of the options below.